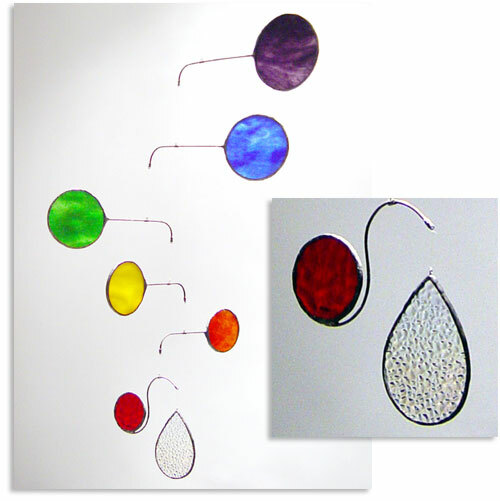 This hanging mobile is made of a rainbow of colored glass with a complementing water drop for a counter weight. This is a happy mobile and will surely a color to any window . Handcrafted wire work finished with silver solder gives this mobile its antique appearance Largest circle measures 3 inch diameter and its arm length is 5 inches. Mobile height is approximately 16 inches.